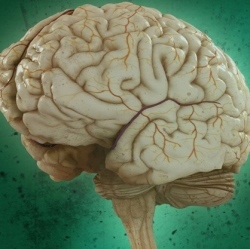 An international team of doctors from the University of North Carolina, MIT, Harvard, and the Karolinska Institutet in Stockholm have taken a major step toward pinpointing the genetic causes of schizophrenia. The mental illness affecting some 24 million people worldwide has so far proven incurable, however this latest advance "provides the hitherto strongest clues" to its genetic underpinnings. Studying blood samples from 5,001 schizophrenia sufferers and 6,243 healthy subjects, the researchers identified 22 genetic risk factors for the disease, 13 of which are newly discovered. These are locations in the human genome where some common genetic variations have been associated with the presence of schizophrenia. The new findings are bolstered by an additional meta-analysis of previous studies in the field and outline a path toward potential new therapies. At present, the goals remain modest, looking for treatment methods rather than a cure, however the research will aid advancement toward both the short- and long-term goal. Schizophrenia is not wholly caused by inherited traits, with psychological and social factors also playing important roles, so reaching the ultimate goal of overcoming it will require additional study from all corners of the scientific community.